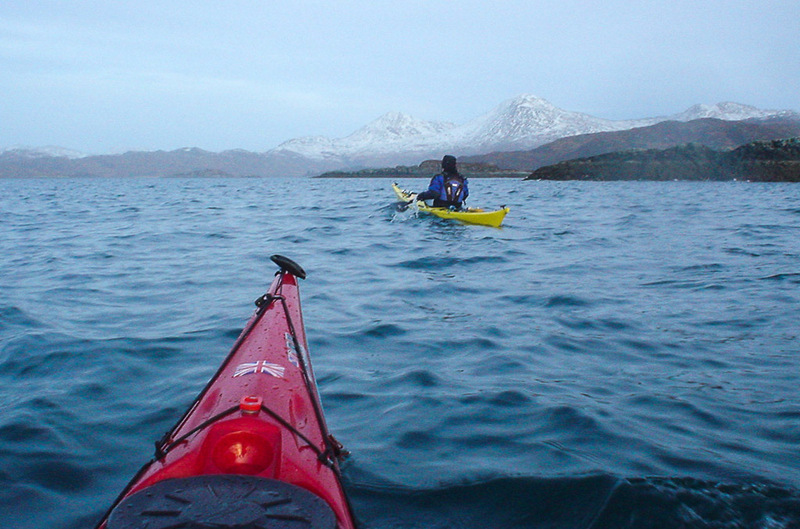 Glenuig expedition cut short after last sunset over Ardnamurchan. 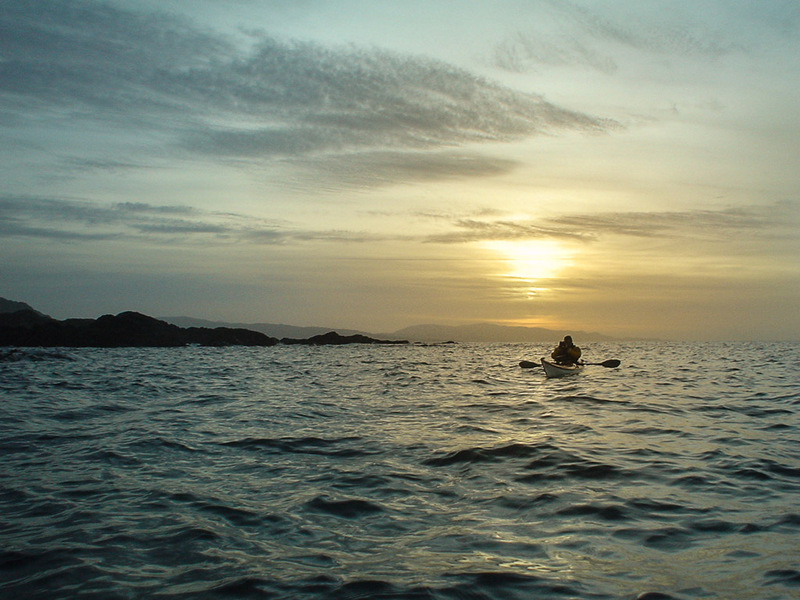 ...to get this view of Ian and the setting sun which was heading for the open Atlantic, beyond the tip of the Ardnamurchan peninsula. 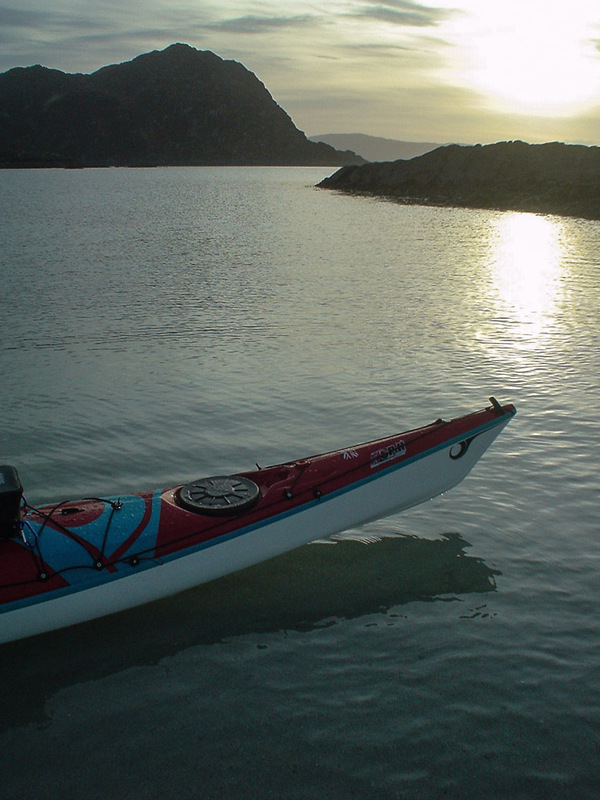 We arrived at Samalaman in the gathering darkness to find the ladies of the Mallaig and District Canoe Club loading up after their outing in these beautiful waters. 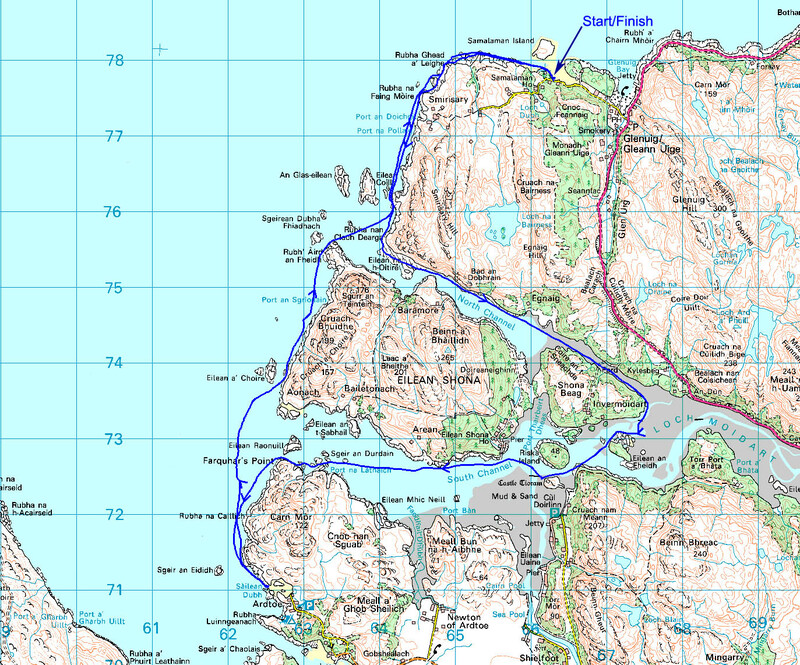 They were also staying at the Glenuig Inn and told Steve Macfarlane of our arrival. Steve kindly drove along with his trailer which was much easier to load than our cars! 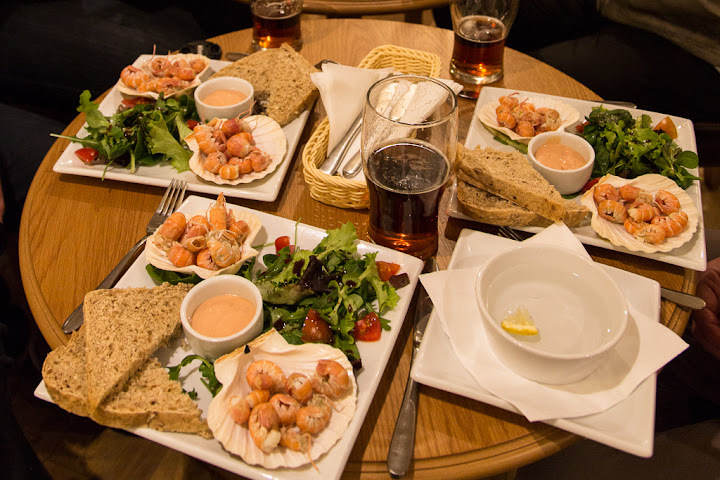 Unfortunately I became very ill that night and was not even able to finish a delicious plate of prawns. I had developed 'flu which is still hanging over me 4 weeks later! 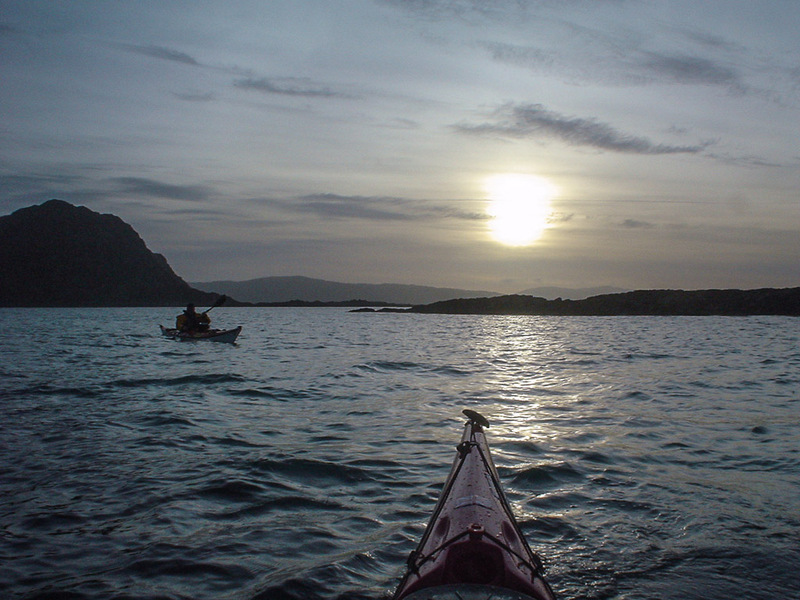 Unfortunately I was not able to join Ian and Allan on the next two days paddling so you will need to read about them over on Ian's blog. I was actually too ill to be upset at missing more paddling, anyway I had just enjoyed one of the most varied and best winter days ever! We might only have covered 26.5km but the scenery was stunning.